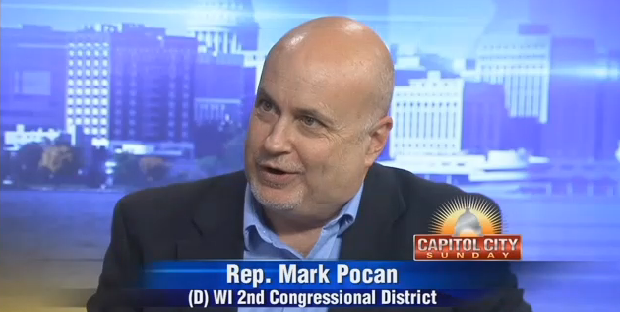 U.S. Representative Mark Pocan (WI-02) today sent a letter to the U.S. Immigration and Customs Enforcement (ICE), calling on the agency to respond to a Freedom of Information Act (FOIA) request that he sent to the agency more than two months ago. U.S. Representatives Ben Ray Luján (NM-03), Mark Pocan (WI-02), Stephen Lynch (MA-08), Brendan Boyle (PA-13), and Jan Schakowsky (IL-09) introduced H.R. 7294, the House companion of Senator Elizabeth Warren’s (D-MA) Accountable Capitalism Act. Today, U.S. Representative Mark Pocan (WI-02) released the following statement regarding Wisconsin’s Joint Finance Committee taking up legislation today aimed at weakening the authority of incoming Democratic officials. Today, U.S. Representative Mark Pocan (WI-02) released the following statement regarding the signing of the U.S. Mexico Canada Agreement. Today, U.S. Representatives Mark Pocan (WI-02), Ron Kind (WI-03), and Gwen Moore (WI-04), and U.S. Senator Tammy Baldwin (D-WI) called for the inclusion of Wisconsin families, farmers, and businesses impacted by flooding in an upcoming tax package aimed at providing federal disaster relief. Today, U.S. Representatives Mark Pocan (WI-02), Ro Khanna (CA-17), and Jim McGovern (MA-02), leaders of H. Con Res. 138, issued the below statement in light of recent GOP efforts to block the resolution’s vote in the House and the impending Senate vote this week. U.S. Representative Mark Pocan (WI-02), Co-Chair of the Congressional Progressive Caucus, and U.S. Representative Pramila Jayapal (WA-07), First Vice-Chair of the CPC, released the following statement after meeting with Leader Nancy Pelosi today. U.S. Representatives Mark Pocan (WI-02) and Ro Khanna (CA-17) issued the following response to announcements by Secretary of Defense James Mattis and Secretary of State Mike Pompeo regarding their intention to spur negotiations for a ceasefire to the conflict in Yemen within 30 days. U.S. 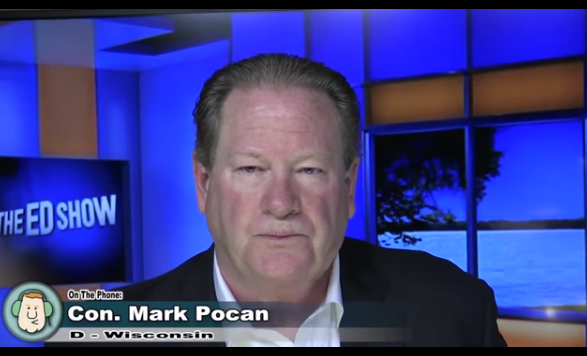 Representatives Mark Pocan (WI-02) and Lloyd Doggett (TX-35) today wrote to the GAO to request an investigation on the effectiveness of economic development subsidies, such as those provided to Foxconn Technology Group in Wisconsin. U.S. Representatives Mark Pocan (WI-02) and Ro Khanna (CA-17) led a bipartisan group of 55 Members of Congress in writing to Daniel Coats, Director of National Intelligence, calling for the release of information regarding the U.S. intelligence community’s advance knowledge of Saudi Arabia’s plot to capture journalist and American resident Jamal Khashoggi.